I admit it, I'm on bit of a no-churn ice cream craze. It's just so easy and yummy! I've been loving the unicorn craze and wanted to create something magical, but not overly bright. I asked many of my friends what a unicorn magical ice cream would taste like. They answered in various forms of fruity and marshmallow.. something light and sweet. 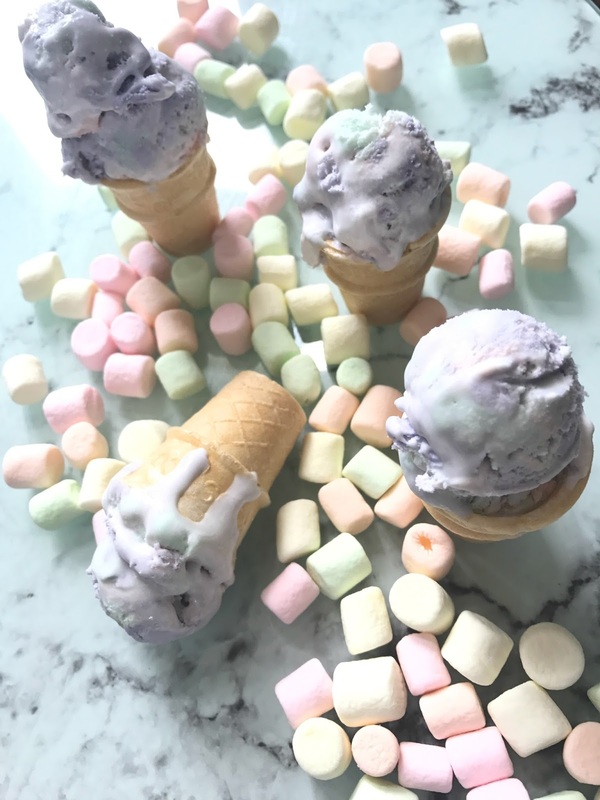 I came up with a double marshmallow cotton candy flavored ice cream. 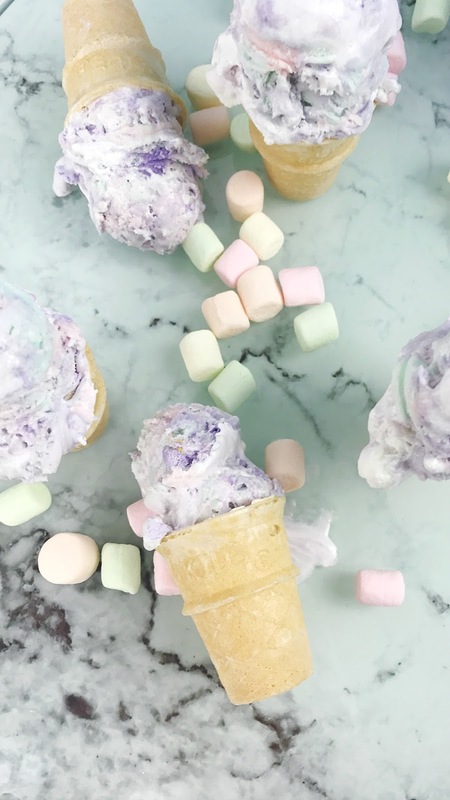 The ice cream is flavored with three different types of cotton candy floss sugar, a layer of homemade marshmallow creme and ooddles of fruity mini marshmallows. It's a bit of soft, sweet heaven. Cotton candy floss comes in various delicious flavors. 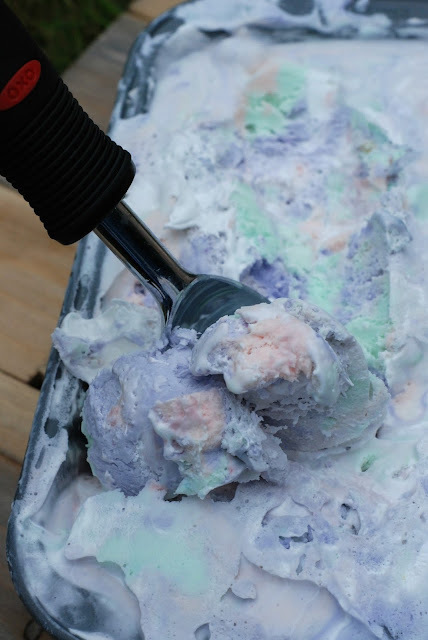 It gave the ice cream a soft rainbow hue and fruity flavor. I used cherry, grape and blue raspberry in this ice cream. I purchased it off Amazon here. but I have seen it for sale at local restaurant supply stores as well. I really wanted to try my hand at making marshmallow creme instead of purchasing it at the store. I found a delicious recipe at Eating On A Dime. It is incredibly easy to make, I doubt I would buy it again. So delicious and yummy! I placed scoops of it layered in the ice cream - you will love it's softness, but it doesn't freeze hard, so be ready to gobble it down. 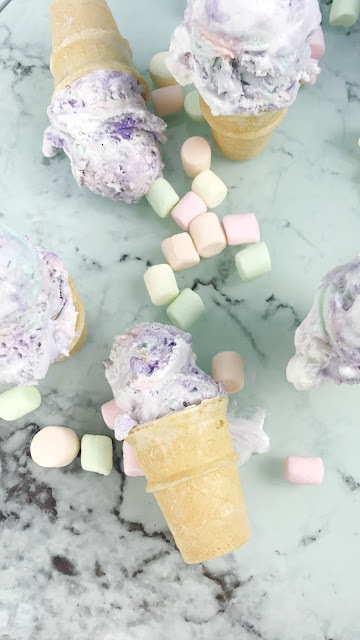 A light and delicious cotton candy flavored ice cream with ribbons of homemade marshmallow creme and bites of fruity mini marshmallows. In a medium bowl, whip heavy cream until soft peaks form. They should keep their form, be careful to not overwhip to stiff. Divide the condensed milk into 3 small bowls. In each bowl, add one cotton candy floss flavoring and stir until well mixed. Add 1/3 cup of mini marshmallows to each bowl and combine. In each of the three bowls, add about 1/3 of the whipped heavy cream. Mix to combine, but do not overstir. Prepare a metal bread pan for the ice cream. Alternate layering the ice cream flavors into the pan - add about 1/2 of each bowl. Spoon the marshmallow creme over the layers, but don't stir. Finish layering the remaining ice cream. Cover tightly with saran wrap and freeze for at least 8 hours. This ice cream is so delicious and will have your magic loving family squealing with delight. 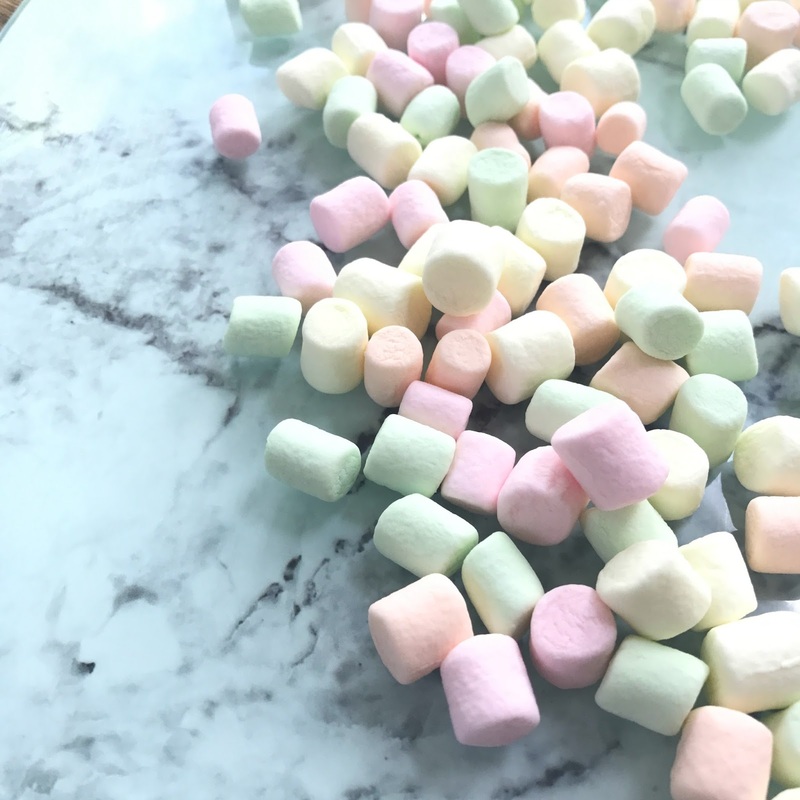 Its soft colors, delicious marshmallow creme and fruity mini marshmallows will make you feel like a child again. 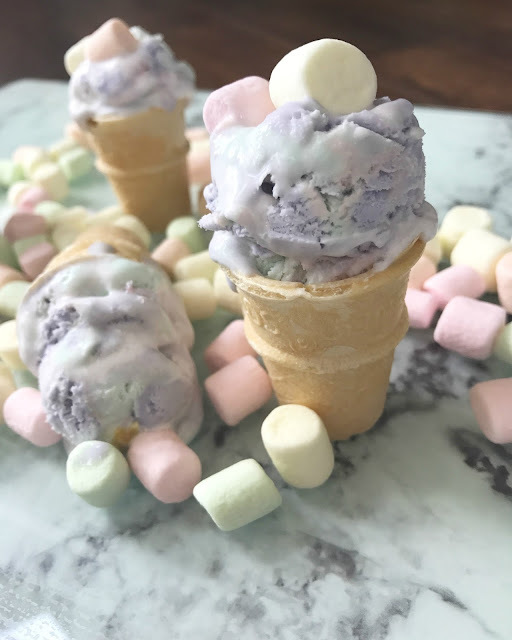 A super easy and yummy summer treat? Magical! Usually I like ice-cream and here is the combination of Cotton Candy and Ice Cream. Yes of course, this candy may give a special taste for this recipe. The vanilla frozen custard my wife made last night in the KitchenAid Mixer Ice Cream Maker was as good as custard shops. I can definitely vouch for that one. Sooo good.